A visionary is a person who looks out a window and sees not only what is there, but also what could be there. A visionary is a person who practices possibility thinking, which means never being satisfied with the status quo but instead, make a conscious choice to examine what else is possible. Status quo is a dangerous adversary. It lulls leaders into a false sense of satisfactory results which frequently blinds them and prevents them from examining what could be, causing them to feel smug and content with what is. Great leaders are never satisfied with results. That’s not to say they are not appreciative of the effort that went into the results, but rather, they lead with a restlessness that is never satisfied because they know more, bigger, faster and better is always possible. Every building on the planet began with a vision. Every great advance, every stunning breakthrough, every amazing achievement began with someone questioning what is possible. 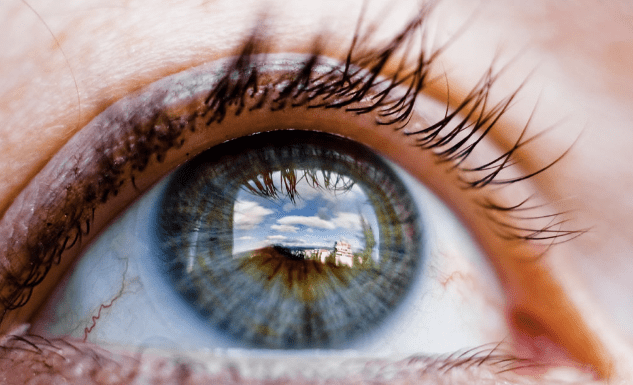 Vision is what broke the four-minute mile barrier, placed people on the moon and made possible the transplanting of organs from one human to another. Which begs the question, how visionary are you as a leader and a manager? Are you satisfied with the way things are or are you itching for more? Are you content with small improvements or are quantum gains more your style? Do you see possibility in every obstacle or obstacles in every possibility? Does the big picture stir up excitement within you or scare the heck out of you? Greatness is the product of vision and the daringness to risk failure, scorn and ridicule to make possible the impossible, conquer the unachievable and raise the bar to unimaginable heights. Possibility thinking is what leads to new records in sports, the discovery of new frontiers in science and, as we have all witnessed, the disruption and shattering of decades-old business models by the likes of Uber, Car to Go and Airbnb. And possibility thinking is what separates those who reach the highest levels from those who wish they could. The energy behind our own personal development stems from what we believe ourselves capable of achieving. It comes from first convincing ourselves that something we want is indeed possible and then, extending our beliefs from possibility thinking to unquestionable certainty. If, as managers and leaders, we constantly strive for new heights and view each day as an opportunity to bring out the absolute best in those around us, then we are have achieved visionary status, and now need only extend our vision further higher and wider. Every visionary is surrounded by naysayers, by those who point out challenges and obstacles and by those whose first reaction is always to come up with as many reasons as they can think of for why an idea cannot be brought to life. True visionaries remain undaunted, determined and committed because they know that obstacles exist to be overcome. Impossible simply means hasn’t been done yet and failure is simply a lesson in what doesn’t work. And most importantly, visionaries understand that pride is not dented by failure and that shame comes only from never having tried. Are you the visionary you deserve to be? Let’s work together to ensure the answer is YES!